Natural hair takes a lot of care and my 3a/3b curl patterned hair and I have a love hate relationship.’ I hoard hair products is search of the holy grail for my hair…’ Which I’m sure is just an excuse to keep trying new products. 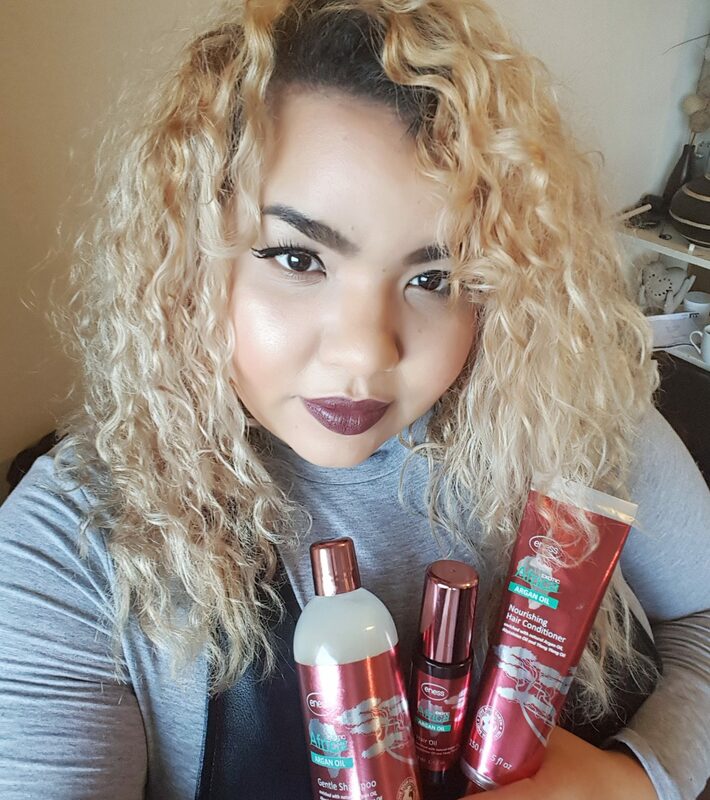 It’s hard for me to find products that work for my curls that are also bleached and colour-treated. A lot of shampoos in particular are so drying that I end up conditioning before and after I shampoo to avoid dryness. 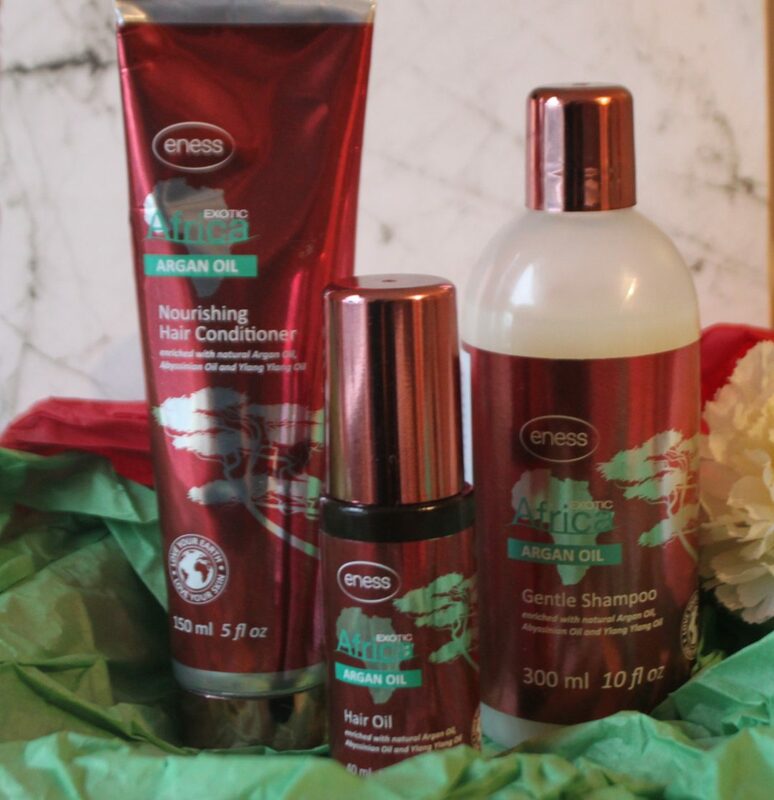 Eness Cosmetics have an ‘Exotic Africa Argan Oil’ range, this consists or bath & body, hair care and a candle. I have only tried the hair care from this line and I can say I am pleasantly surprised. 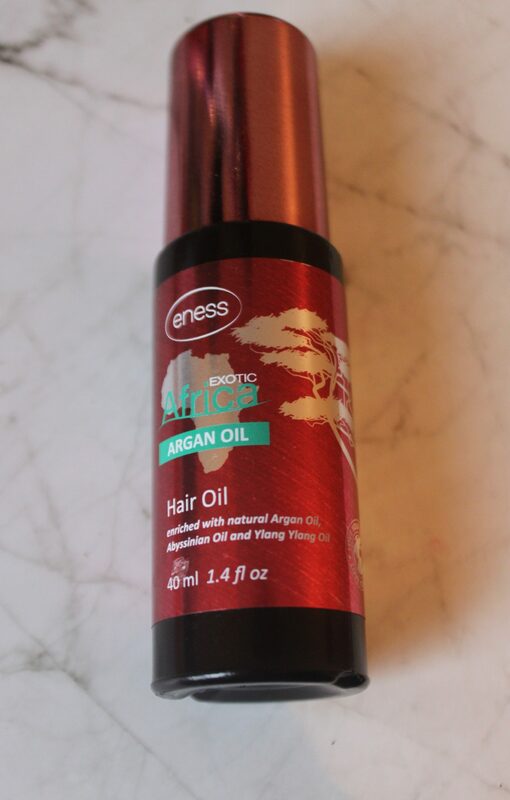 Curly hair loves Argan oil but I find a lot of argan oil products leave my hair feeling ‘stringy’ so I usually stick to pure argan oil. These little delights however worked wonders for me. 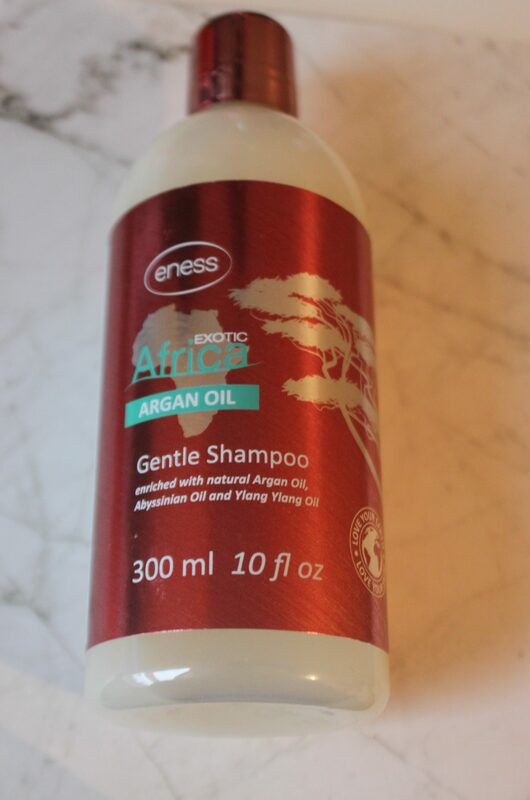 The Exotic Africa Argan oil Shampoo. Smells amazing and has a thick, luxurious consistency. This shampoo did not ‘lather up’ in my hair but I actually prefer that, sometimes shampoo’s that lather make my curls tangle. I was hesitant about using it as my hair is blonde at the moment so I stick to purple shampoos. But it was great, my hair was still as blonde as normal and felt nourished. The Exotic Africa Argan Oil Conditioner. For me this was the winner. This conditioner is so creamy and moisturising. It has lots of ‘slip’ which is so important for natural hair as it makes it super easy to detangle. The Tube says leave it on for 3 minutes but I put my hair in a shower cap and leave it for at least 5. When I wash it out my hair is so soft and my curls instantly have more definition. The Exotic Africa Agan Oil Hair Oil. This is more of a serum than an oil, and a little goes a long way. I do not mind that it is more like a serum at all because serums usually work well with my hair. This was no exception , it provided optimum moisture and eliminated my frizz. I’m always looking for great products that control frizz and this is brilliant. 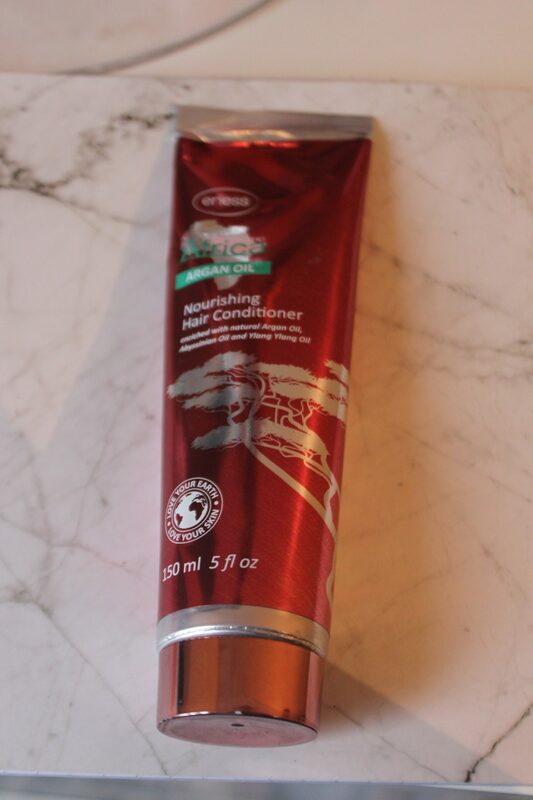 I use it after washing my hair while it is still wet, and then re apply very small amounts between washes when my curls need a slight refresh. I would definitely recommend this to anyone with frizzy hair. Overall this line worked really well with my hair type and the only other products I used alongside were my regular leave in conditioner and some coconut oil. Eness are a cruelty free brand with their first store in my hometown Birmingham. They also have a great easy to use website that I will link incase anyone wants to make an order.